Protect against weather and forced entry with doors built for maximum home security. Doors are one of your home’s first lines of defense against the elements and intruders, and it’s important to ensure that your doors are kept in top shape to protect your property and family. 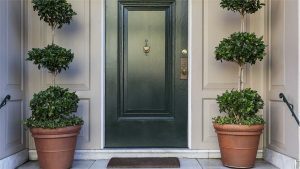 When you need Atlanta security doors that offer maximum protection, style, and value, choose the area’s leading home improvement company—Tight Line Exteriors. Our inventory of high-quality security doors includes products from the most respected brands in the industry, and, with 30 years of experience in construction, we have the expertise you can rely on for guaranteed results. At Tight Line Exteriors, we work with you to make installing your replacement security doors as stress-free as possible, and we will start your project by sending one of our experts to your home for a free evaluation. During your consultation, a door specialist will check out your current door system, listen to your needs, and offer suggestions about which of our doors will work best to maximize the security of your home. Keep your family protected and your home in excellent condition by contacting the pros at Tight Line Exteriors today to learn more about the products and services we offer. Get more information regarding our durable and secure replacement doors by giving our team a call, or get started right away by requesting a free, no-obligation estimate through our online form.